American rapper and record producer who has released numerous albums, including his 2010 debut K.R.I.T. Wuz Here. He has collaborated with notable rappers such as Wiz Khalifa, Future and Ludacris, among others. He started out releasing many mixtapes including Hood Fame and The Last King in 2005. 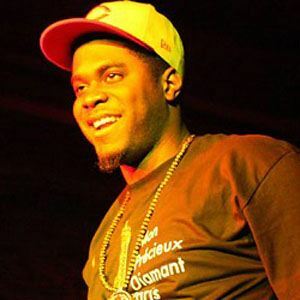 He co-headlined The Smoker's Club Tour in 2010 with rappers Currensy and Smoke DZA. His name means Big King Remembered In Time. He was born Justin Scott in Meridian, Mississippi. He has dated singer Mara Hruby. He co-lined The Smoker's Club Tour with Method Man in 2010.